What are Some Common Indications for Cervical Spine Surgery? If you have ever experienced pain in your neck, then chances are you have had a problem with your cervical spine. Your cervical spine is an extremely delicate part of your anatomy. It comprises of seven vertebral bones that run between the base of the skill and the thoracic spine (the upper back). Encased in the middle of these vertebrae is the spinal cord, the main pathway for our central nervous system which passes the messages from our brain that controls all aspects of our body. - To support the head and enable it to have full range of motion, including rotation, side to side and forwards and backwards. This is no mean feat as the average human head weighs between 10 and 13 pounds! - The enable the flow of blood to the brain. The vertebrae contain special openings called vertebral foramen which provide a passageway for the vertebral arteries to provide blood for the brain. Unfortunately, when a problem occurs with the cervical spine, it can have painful and debilitating effects for the patient. Therefore, prompt diagnosis and treatment are essential. While there are several problems that can occur with the cervical spine, cervical disc disease is one of the most common. 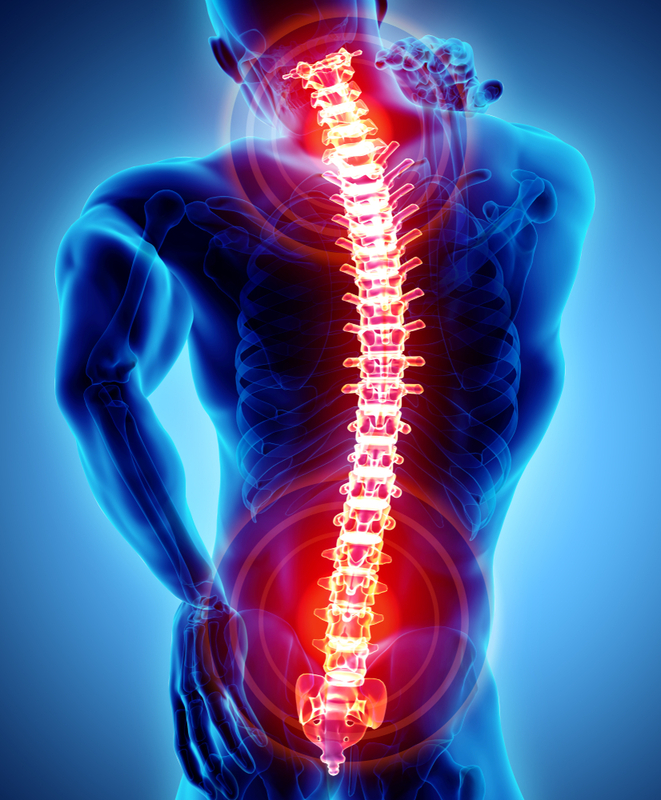 It is a degenerative condition that tends to be aggravated by repetitive stress and is characterized by the intervertebral discs between each bone beginning to wear down and lose their ability to absorb impact as effectively. In some cases, the tough, outer exterior of each disc cracks and allows the soft, inner gel to leak out. This can irritate the surrounding nerves and cause pain and other symptoms. The most obvious symptom of cervical disc disease is a stiff neck and pain when you try to tilt, twist or turn your head. It may be worse when you try and perform one specific movement. You may also develop numbness, tingling or weakness that affects your shoulders, arms or even hands. For an official diagnosis of cervical disc disease, you will need to have an assessment performed by our doctor or chiropractor. This may involve taking x-rays of the cervical spine so that your healthcare professional can see exactly which vertebrae are affected. Some patients who suffer from cervical disc disease may be recommended for cervical spine surgery. This involves removing a small portion of the bulging disc that is placing pressure on the surrounding nerves and causing pain/other symptoms. Once the herniated portion of the disc is removed, the nerve pathways in the cervical spine will no longer be restricted and the patient will find that their symptoms are alleviated. In most cases, cervical spine surgery can be performed using keyhole/minimally-invasive techniques, which enables the patient to make a much faster and more successful recovery. If you are suffering from neck pain and mobility problems that don’t seem to be alleviated using pain medications and non-surgical therapies, you may be a good candidate for cervical spine surgery. Contact us and arrange an appointment with our preferred musculoskeletal specialist to discuss your individual circumstances.